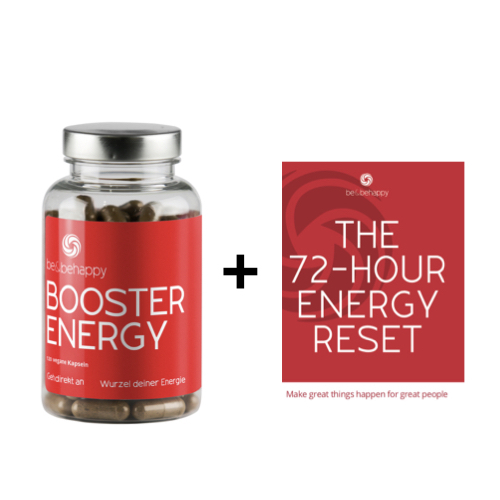 Unleash your energy potential with the Booster Energy combined with the 72-Hours Energy Reset. Feel renewed energy, feel clearer and focused by using natural energy sources without caffeine or stimulants. Do you feel you need a change? Get ready to reboot your energy levels and feel happy through and through! 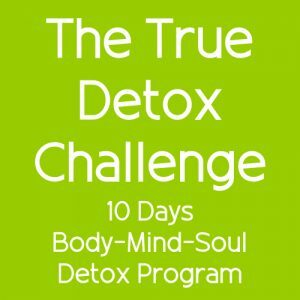 We designed the Energy Reset program as a step you can really take. It’s doable, it’s realistic, it’s simple and it gives incredible results. Unleash your energy potential with the Energy Booster combined with the 72-Hours Energy Reset. Feel renewed energy, feel clearer and focused by using natural energy sources without caffeine or stimulants. The 72-Hours Energy Reset is a 9-step vegan biohacking program, where we have compiled tools that are really effective. We give you the best of our energy boosting experience in this 3-days program. Imagine, it’s only three days to reach the next level of energy and happiness. The 72-Hours Energy Reset is not a diet – it’s a way of life. Your transformation starts from lifestyle, diet and mindset. You get a free guidebook that describes the complete process. It’s easy to follow and simple to apply. Made with the German perfection we’ve come to expect, this is an amazing vegan product made from organic, natural ingredients with digestive herbs. 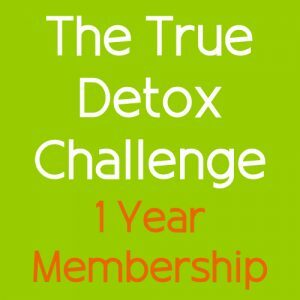 I started noticing the effects within 3 weeks of regular use when I simply felt better and had a feeling of lightness in my body and increased energy and mental alertness in my daily activities. Danke Be&behappy for this wonderful product. I have to admit that I am lazy & skeptical person concerning food supplements/ super foods. The vegan market is currently flooded with tons of products so that I lost the interest due to overpresence. When I got to know the BOOSTER ENERGY I had no interest in taking it until a friend of mine gave it to me after lunch during a high work load period. It was the first time in my life that I had more energy after eating than before! Since I take the BOOSTER ENERGY on a daily basis I feel lighter, awake & dynamic. Especially during the dragging winter days it pushed my entire system! No lunch nor dinner without my BOOSTER ENERGY. I take the energy booster now for a while. I am very satisfied. I can also eat in the canteen. With the energy booster a can tolerate even the canteen food. I feel less full and tired after taking it. And I don’t have these lows at work so often. I have seen that the gap between eating and taking the herbs shouldn’t be too big. You should take them immediately after food. I can strongly recommend them! I find it terrific that they are there and that you are there! With Energy booster I have energy throughout the day. And as a result naturally more strength and joy, because now I can do more things again. I have no more energy-low – even after a meal. I think the Energy Booster is awesome. I feel that I have more energy. I have underestimated the Reset however. I thought that it might be not sooo important. But my body and my intestines in particular have literally demanded it. I have the feeling that it was really important to give my body the chance for a new start, when I switched to the Energy Booster. I feel more balanced and generally more positive! I am starting to dream at night and to remember my dreams! I simply feel more positive, better and more alert! It would be really great, if the 3-days Weekend Energy Reset Program was available in German as well. By the way, I have not received the PDF file per mail after my order. Thanks for your feedback. We are just working on the German translation of the Weekend Energy Reset program. And sorry for the missing email. There was a problem in our system, which we have solved now. I have sent the file to you by mail. Only after using it for two weeks, my co-workers in the office are saying, you look so young and energetic. Whats that reason behind it ? I would say the reason is Booster Energy. Thank you BeAndBeHappy. It is certainly no miracle that makes you high as soon as you take it. Be&behappy with digestive herbs works harmoniously and in a very pleasant way. This makes you feel automatically fitter!